via BTS --- Take the train going to Mo Chit Station and from there, go down exit 1 or simply ask for directions. The market is walking distance from the train station. via Taxi --- Fare depends on where you are coming from, tell the driver to use the taxi meter. via TukTuk --- This may cost a lot but riding a TukTuk in Bangkok is an experience you shouldn't miss. Be prepared to test your haggling skills though. via Grab Sedan --- Fixed rate and sometimes it is cheaper if you go to the market when it is not rush hour. Comfortable clothes. Preferably shorts and t-shirt since the weather is hot / humid. Don't expect airconditioned stalls here. Bring a fan. Rubber shoes or comfortable footwear. 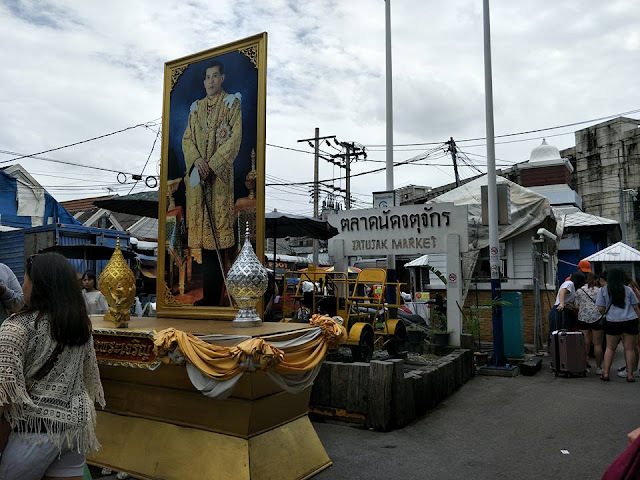 You will be walking A LOT and Chatuchak Market is a huge place. Water. You need to hydrate yourself every now and then especially when the market gets too crowded. 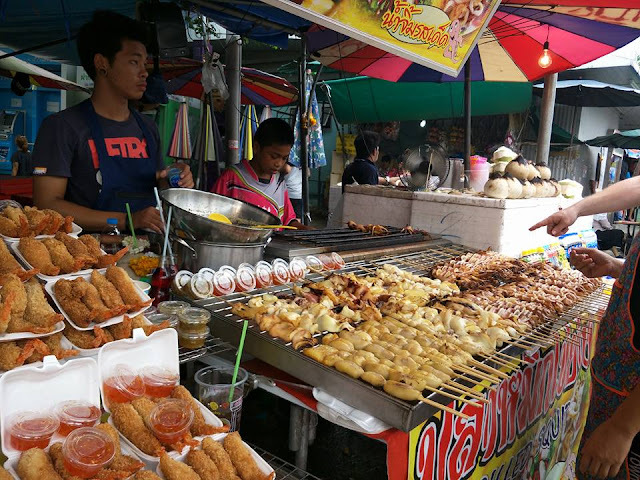 You can also buy bottled water in Chatuchak Market but the food stalls are located far from each other. Money. Make sure to have your dollars or peso changed before going to the market. Bring smaller bills like 20 - 100 baht. It is easier to pay that way. Also, I am not sure if there's a money changer in the market. *** haven't seen one when we went there. Most of the items at Chatuchak Weekend Market is not available in Bangkok. Like for instance the 49 baht iPhone case that I bought from there. Had I known that, I would have bought more. 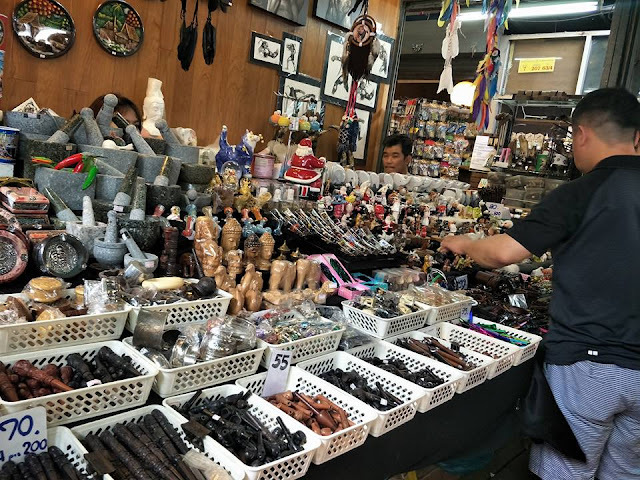 Some items are also cheaper in Chatuchak although some are really pricey. But then, you won't find a similar item elsewhere. Really, no kidding. 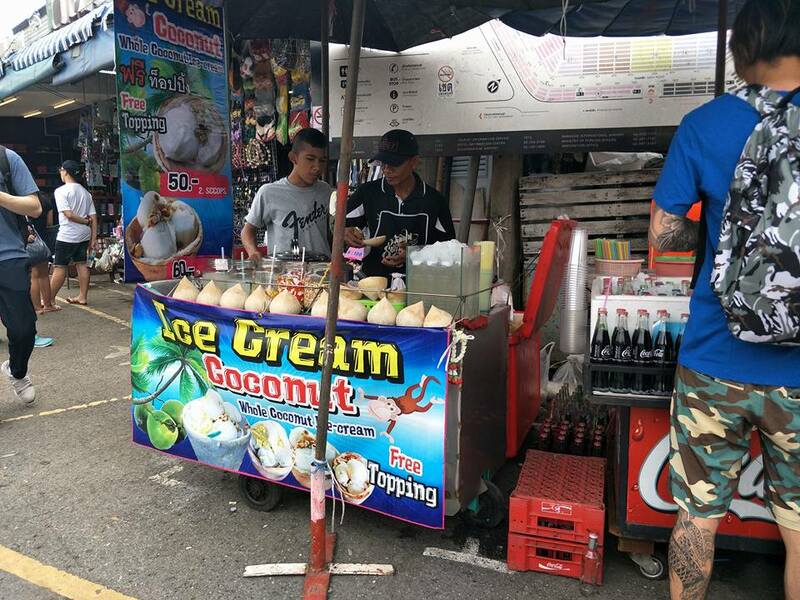 Coconut Ice Cream is famous in Chatuchak Market. We haven't eaten breakfast yet when we went there so we skipped the ice cream. Cost 40 - 50 baht. I do have an amusing tale about this coconut ice cream cart. My friends and I decided to go on separate ways to shop and agreed to meet in front of this cart after an hour. Hahaha, too late when we realized that there are several carts of coconut ice cream and that the market is super huge. Also, when we finally located this particular spot, the ice cream seller is not there anymore because he already ran out of ice cream. But it was fun getting lost. Thank God for Globe Roam Surf because I was able to stay connected to my friends even if we are all lost in the vast market. The foodie in me was rejoining when I stumbled upon the food section of Chatuchak. The air here is filled with delicious smells that will make you salivate. I bought some of the mouthwatering pork bbq and it was heaven on a stick! Cost 10 baht per stick. I didn't get to try these mysterious sticks though. 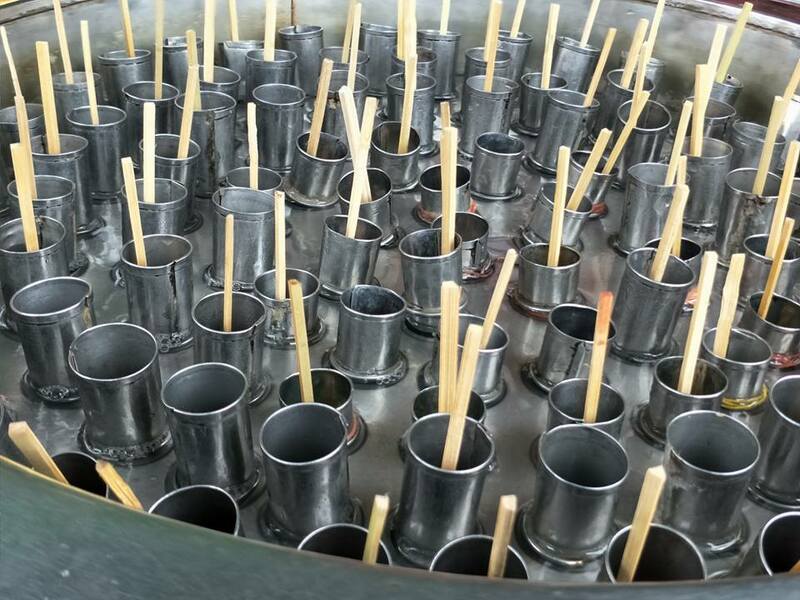 At first, I thought it is sticky rice or kakanin on a stick but was amazed when it turned out to be popsicle sticks! I mean, I don't see any ice. Comes in several flavors: cola, iced tea, orange, lemon, etc. What the seller does is pour an amount of flavored liquid in the holes, turn the round container for about 2-3 minutes, and you can get your popsicle. Wow! Cost 5 baht. Words and photos by Viva Manilena. All photos are taken using OPPO F3 Plus, the Selfie Expert. Wow there's so many street foods. How I wish I could travel outside the country too. But seeing travel post like this one makes me feel na I have been there too. 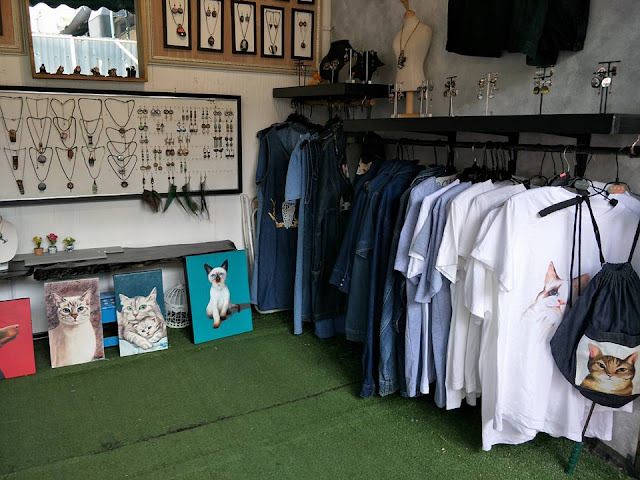 I've heard and read a lot of fun things to do and interesting things that one can find in Chatuchak. It's already in my bucketlist, too. Too bad, my friend who used to live in Bangkok already moved to another country. 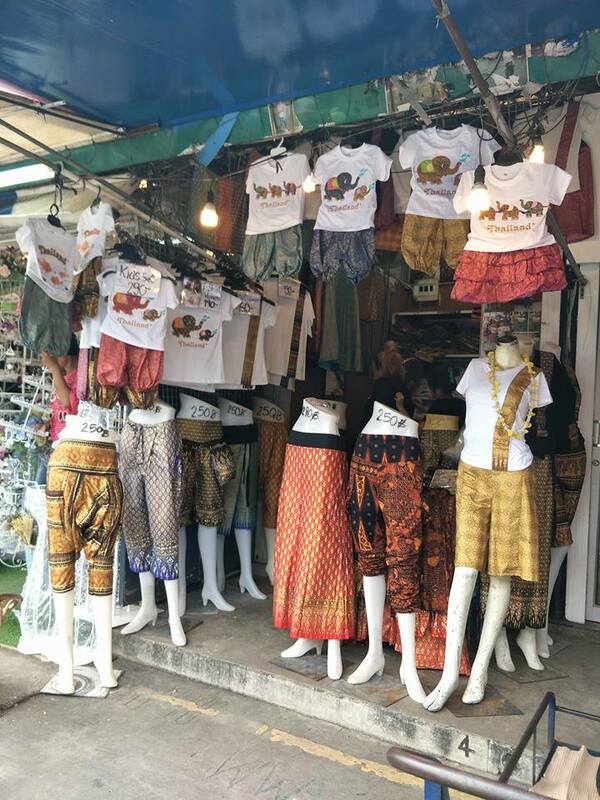 It reminds me in Pedro Jil St. in Manila their street foods and clothes display. But what I love here in Chatuchak Market ay parang nasa pinas lang din noh? Chatuchak Market is similar to our Greenhills Tiangge although Chatuchak has a bigger area and non-aircon. Prices are cheaper also. I haven't been to Thailand yet but I've heard that it is one great shopping destination for bargain hunters. Taking note of this for future reference.Would love some coconut ice cream too! I'm longing to go back to Thailand and explore places I wasn't able to visit the last time I was there. I'll keep this in mind next time. That looks fun to shop there, the dresses look nice. Maybe someday, we can go to Thailand also. Very detailed and gives plenty of helpful information. Travel has been one of my desires and hopefully I get to see more of the world and get to use these tips!